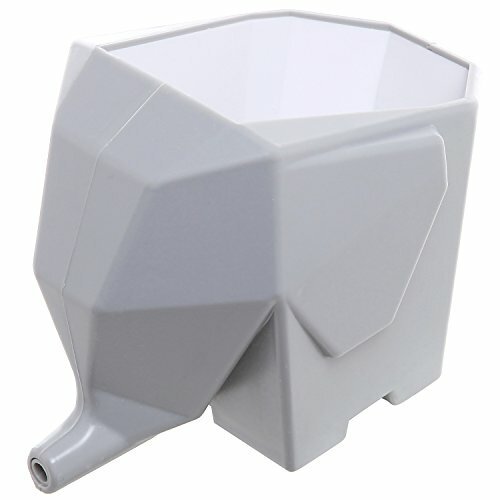 A plastic drying rack and storage cup made of durable plastic and designed to look like an elephant. 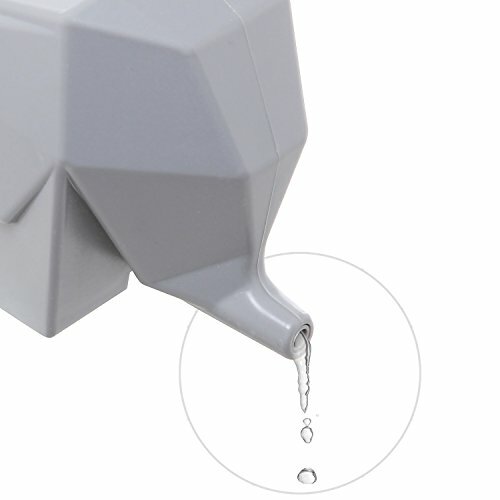 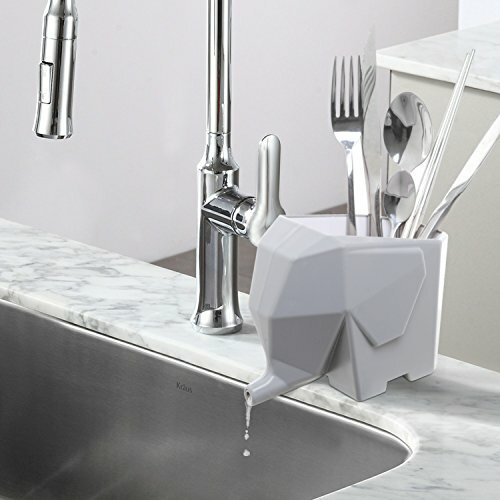 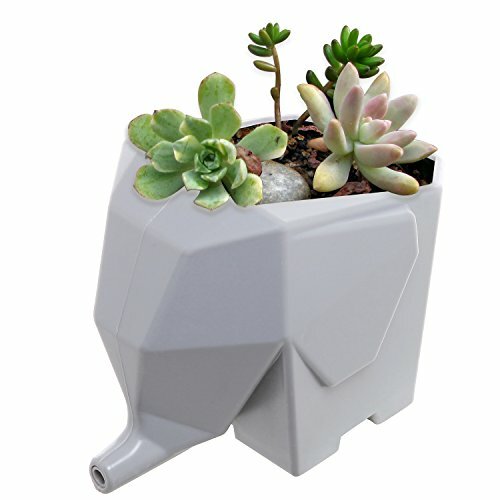 The plastic elephant's trunk acts as a spout to allow water to drain into your sink. 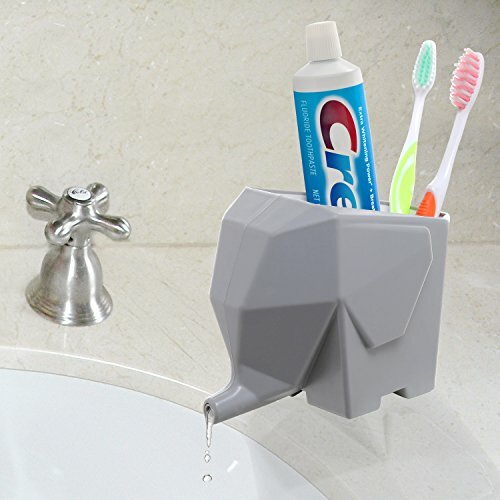 Ideal for use in both kitchens and bathrooms to hold toothbrushes, dining utensils, and more.